WHITE LIES will take to the stage of the Róísín Dubh in the final 24 hours of Britain’s membership of the European Union. Even if Westminster seeks an extension, the band knows it will be little other than postponing what is a threat to the livelihoods of all touring musicians. For bands like White Lies - from west London, one of the most ardently Remain parts of England - Brexit is not the path to the “sunlit uplands”, but a future of tariffs, taxes, borders, and a restricted ability to earn money from their art, especially if there is a no deal Brexit. “It’s very uncertain times,” bassist Charles Cave tells me during our Thursday afternoon interview. “We had a meeting this morning with the merchandising people. With Norway and Switzerland not being part of the EU, we’re not allowed bring merchandising there when we go into those countries, as there are tariffs imposed on each item of merchandise we would bring in. One last party before Brexit? White lies - Cave, Harry McVeigh (lead vocals, guitar ), and Jack Lawrence-Brown (drums ) - are currently touring Europe in support of their new album, Five, released last month, with the Róisín Dubh show taking place on Thursday March 28. The tour has already taken in Holland, Belgium, Germany, Norway, Denmark, and Poland, and Charles admits there is an almost “one last party before Brexit” feel to the tour. 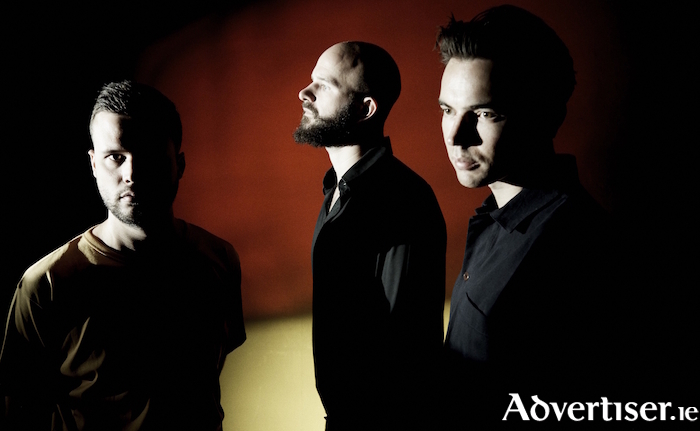 White Lies have won much acclaim since the band emerged a decade ago with To Lose My Life…. Four albums later and Five has earned some the trio’s best reviews to date. It also marks a shift towards a more sonically expansive, and stylistically diverse, approach, taking in elements of stoner rock, jazz, and pure pop, alongside their trademark dark and atmospheric post-punk. “Every album we’ve made,” says Charles, “we’ve taken more and more control of, and have had more freedom with. We’re very proud of the first record. We made it when we were 19, we were with a major label, they did a lot of the guiding process with us, they got the producer, the studio, all of that. We were like rabbits in headlights and we needed that guidance, but since then we have taken the reins more and more, and it laid the foundations for which we could do this one. One of the singles from the album, ’Tokyo’, which boasts a chorus equal parts earworm and anthem, reveals a light-heartedness not normally associated with White Lies. “There is a certain level of idiocy and simplicity in the best pop music,” Charles declares. “Pop without humour falls flat. That’s the problem with a lot of chart music today, it’s so falsely earnest and there is no joy in it. If you look back at The Spice Girls, they had that kind of idiocy, and that’s something which I really approve of. Five, as previously noted, marks the band’s 10th year together, although as Charles points out, he, Harry, and Jack, have been together for longer than White Lies has. Doors at 8pm. Tickets are available from www.roisindubh.net; the Ticket Desk at [email protected], Shop Street; and The Róisín Dubh.